This Phantom Canyon Ranch Cabin is surrounded by the stunning Phantom Canyon Ranch Nature Conservancy, from which it has unobstructed 360 degree views. The site and its visual vistas became a core part of the design; and the home is nestled into the land to minimize its impact. The cabin was designed to reflect a rustic western vernacular, with exposed heavy timber and stone. It employs passive and active solar heating, domestic water and electricity, coupled with a supplemental wind generator which channels power back to the grid. 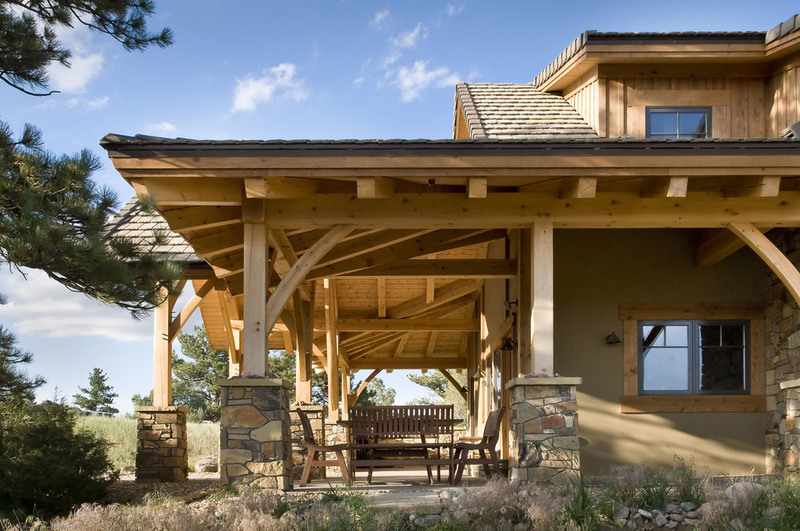 Simplicity and warmth abound both inside and out with bent wood timber and natural local stone. 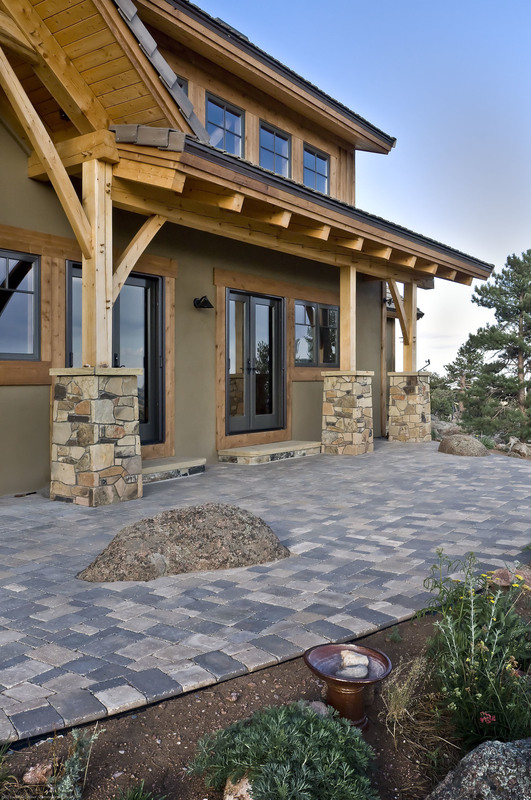 Structural insulated panels create a highly energy efficient wall system; and finished stucco, native rock and reclaimed concrete roof tiles marry the exterior through to the surrounding environ. The entire project utilizes reclaimed, recycled and native materials for a truly sustainable cabin in the wild.